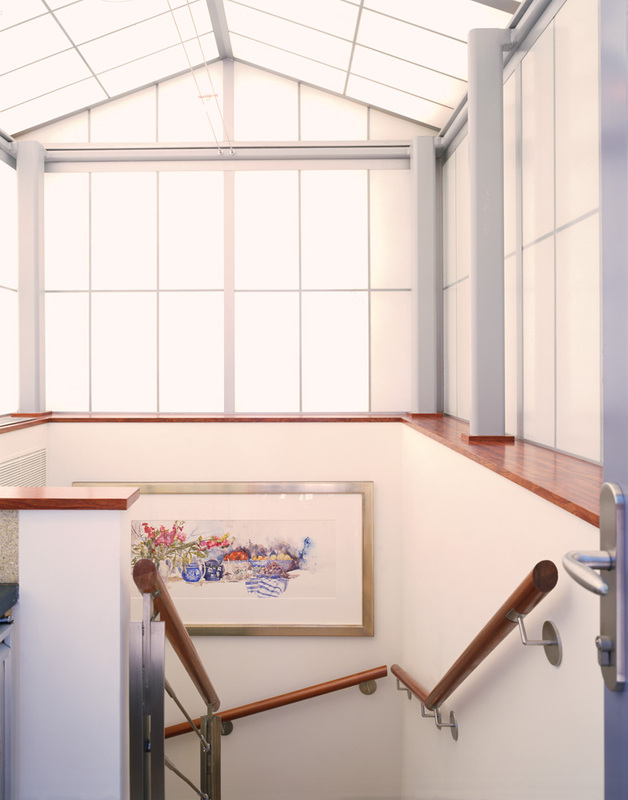 This stair connects the main living level to a upper level terrace. Kalwal panels at the top bring light to the lower floor. 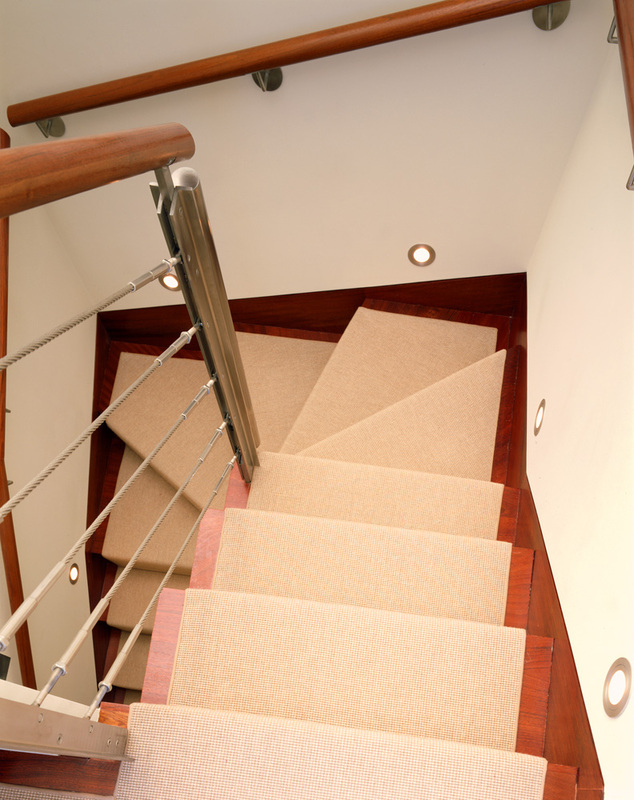 The mahogany handrail is supported by custom stainless steel support posts tied together with stainless steel cables. 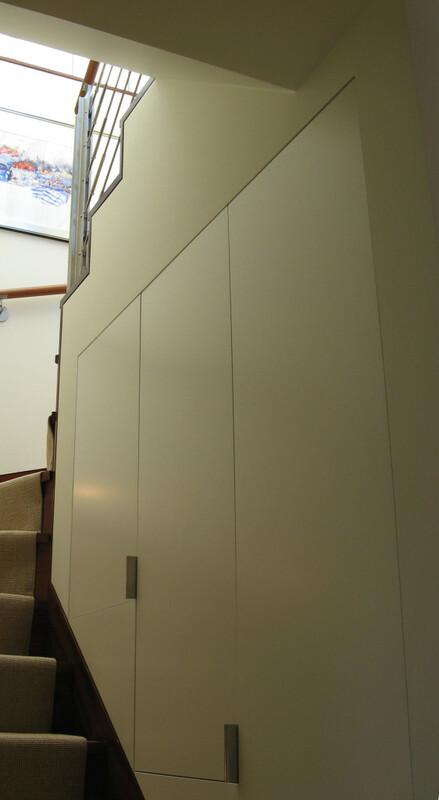 Extra storage is accessed with flush paneled doors underneath the upper part of the the stair. A nautical theme is evident.